To bring celebrities and everyday folk together to raise money for poverty alleviation around the world, the United States will hold its first ever Red Nose Day, an iconic British fundraiser, on Thursday. Through the biennial U.K. event, organizer Comic Relief has hauled in more than £1 billion for poverty relief efforts at home and in developing nations since it began in 1985. 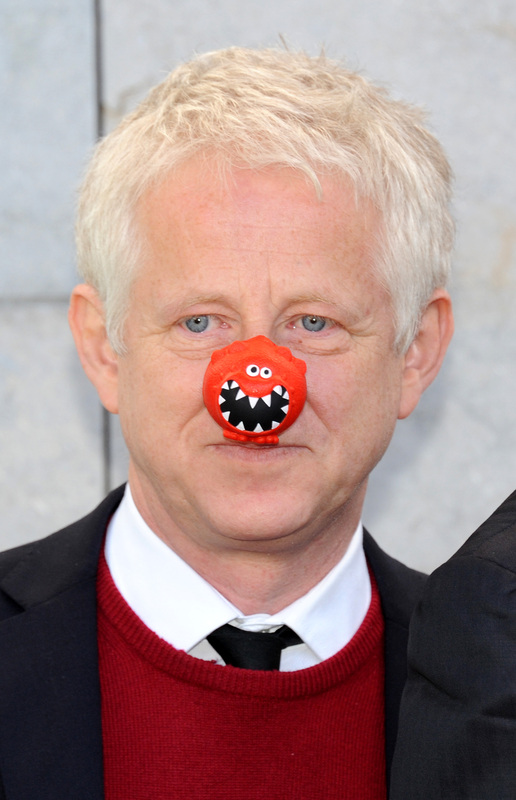 Over the intervening decades, Red Nose Day has practically become a national holiday in Britain, with people decorating their faces, hosting bake sales and other fundraisers, and tuning in to a night of telethon entertainment events, including a celebrity dance-off. Now it is America’s turn to don the red noses and donate cash for charity as they watch A-list celebrities like Benedict Cumberbatch, Emily Blunt, and Coldplay engage in comedy sketches and live performances during a three-hour telethon aired on NBC on Tuesday night. But will Red Nose Day capture the American imagination as successfully as it has taken ahold of the British public? First up, for all the non-Anglophiles out there, let’s talk about what Red Nose Day entails across the pond. On Red Nose Day, British people perform all sorts of crazy and funny stunts, either as part of a group fundraiser or on their own. They wear foam red noses, paint their faces, wear costumes and otherwise dress up or down, host bake sales, dance for 24 hours straight, you name it. On the evening of Red Nose Day, the BBC hosts a series of telethon-like programs where celebrities and comics both keep the audience entertained with short performances and talk about the importance of raising money for poverty relief. This year, Britain celebrated Red Nose Day on March 13 and raised its highest total yet: £78 million ($121 million) for charity. In the American instance, the telethon is definitely the crown jewel of the Red Nose Day, at least in its first year. The list of participants includes some Hollywood heavy hitters like Julia Roberts, Emily Blunt, Jack Black, Benedict Cumberbatch, Neil Patrick Harris, Helen Mirren, Will Ferrell, Jimmy Fallon, Pharrell Williams, John Legend, One Direction, and Coldplay. Half of the show’s sketches and material has been filmed already to enable even more stars to collaborate. Already, NBC has uploaded previews for some of the comedic sketches to its website. Get ready for classic films recast with women protagonists (Anna Kendrick appears with a fedora and a whip as Indianna Jones) and a fake documentary following Coldplay's attempt to make a Game of Thrones musical — complete with the GoT cast members, of course. A substantial portion of the U.K.'s telethon in years past has involved showing clips of celebrities on the ground in poor communities around the world, meeting people and reacting to the problems they see around them firsthand. As philanthropist and Microsoft co-founder Bill Gates put it when praising the fundraiser’s model, Red Nose Day had really "engaged the public on the issues of poverty." It is not yet clear if the U.S. version of the Red Nose Day broadcast will also feature celebrity visits to poor American communities or other parts of the developing world. While Americans might be primarily focused on the telethon program, Comic Relief certainly aspires to imitate the grassroots fundraising practices of the British model. Walgreens and other retailers have been stocking the requisite red foam noses since April 17, and millions have already been purchased. On the Red Nose Day website, people are encouraged to raise funds on their own through any number of creative ideas. (Some of the suggested options involve wearing layers upon layers of extra clothes and stopping swearing for a day.) Roughly, here is how it works: you choose an idea and publicize it to your networks. For convenience’s sake, Comic Relief recommends setting up an online donation site on Crowdrise. Then friends and colleagues can pledge money for the successful completion of whatever antic or challenge you choose. To draw attention to the personal fundraising aspects, Today's Matt Lauer embarked on Tour de Red Nose cycle, which took him 230 miles from Boston to New York on a bike. All the funds raised go to Comic Relief UK’s sister organization, Comic Relief, Inc., which then distributes them to pre-selected and approved charity partners on the ground that are working to build a more just society and to tackle child poverty. According to the event’s website, 50 percent of the Red Nose Day proceeds will go to help out children within U.S. borders struggling with hunger, malnutrition, and unsafe living environments. The remaining half will be channeled to charity partners dedicated to reducing the effects of poverty abroad. We thought, wouldn’t it be great if we could harness our workforce and its relationships with advertising clients and talent – and not in a way that responds to any specific cry for help, but for raising children out of poverty. And do it on an annual basis. But the red nose is still an unfamiliar symbol over here, and the foam nose doesn’t scream poverty prevention. So it is unlikely that a grassroots network of Red Nose Day activists is going to spring up on American soil over night. Instead, Comic Relief will have to lean on the draw of its celebrity-studded show and hope that viewers enjoy the sketches enough to encourage their participation next time around. Curtis seems to recognize this when speaking with 680 News. The challenge is to get people to watch. I think if people watch the show, they’ll enjoy it — and they’ll give some money. At the very least, the Red Nose Day broadcast looks like it will blow the droll, mundane TV genre that is the American telethon out of the water.